19 Turning to the twelve he said*: “I will give to all of you the keys of the Kingdom of heaven and anything that you bind on earth will be bound in heaven, and the thing you loose on earth, will be loosed in heaven.” 20 Then he commanded his talmidim that to men they should not say he was the Messiah. 22 While they were travelling in Galil, Yeshua said to them: “The Son of Man will be betrayed into the hands of the sons of men; 23 and they will murder him; and on the third day he will rise.” And they were very saddened. 45 And when the chief priests and Pharisees heard his parables, they understood that he spoke against them. 46 And they wanted to arrest him, but they were afraid of the crowd, because they regarded him as a prophet. 14 Then one of the twelve, named Yudah Skariota, went to the chief priests, 15 and said to them: “What are you willing to give me, if I will deliver him to you?” And they promised him thirty pieces of silver. 16 And from then on, he was seeking a chance to betray him. 28 This is my blood of the new covenant, which is shed for the sake of many for the forgiveness of sins. 48 And Yudah the betrayer had given them a sign, saying: “It is he whom I kiss; seize him.” 49 And immediately he went to Yeshua, and said: “Shalom, Rabbi;” and kissed him. 50 And Yeshua said to him: “Is it for this reason you have come, my friend?” Then drawing near, they laid their hands on Yeshua, and seized him. 1 And when it was morning, all the chief priests and the elders of the people took council against Yeshua, so that they might put him to death. 2 And they bound him, and took him and delivered him up to the governor Pilatos. 3 Then Yudah the betrayer, when he saw that Yeshua was convicted, repented. And he went and returned those thirty pieces of silver to the chief priests and elders; 4 and said: “I have sinned, due to the fact that I have betrayed innocent blood.” And they said: “What is it to us? See to your own issues.” 5 And he threw the silver into the Temple, and leaving, he went and hanged himself. 18 For Pilatos knew that it was because of hate that they had handed over Yeshua*. 19 And while the governor was sitting on the judgment seat, his wife sent to him, and said: “Have nothing to do with that just man; for I have suffered very much today in a dream because of him.” 20 But the chief priests and the elders persuaded the crowds that they ask for Bar Abba, and to destroy Yeshua. 21 And the governor answered, and said to them: “Whom do you desire to be freed to you?” And theysaid: “Bar Abba!” 22 Pilatos said to them: “And Yeshua, who is called the Messiah, what should I do to him?” They all said: “Let him be crucified.” 23 The governor said to them: “Indeed, what evil has he committed?” And they cried out all the more, and said: “Let him be crucified.” 24 And Pilatos, when he saw that nothing was helpful, but rather that uproar was produced, he took water, and washed his hands before the crowds, and said: “I am innocent of the blood of this righteous man; do as you will.” 25 And all the people answered, and said: “His blood be upon us, and upon our children!” 26 Then he released Bar Abba to them; and scourged Yeshua with whips and gave him over to be crucified. 27 Then the soldiers of the governor took Yeshua into the Praetorium, and assembled the entire brigade against him. 28 And they stripped him, and clothed him with a purple robe*. 29 And they wove a crown of thorns, and put it on his head, and a reed in his right hand, and they bowed down upon their knees before him, and they were mocking him, saying: “Hail, King of the Judeans.” 30 And they spit in his face, and took the reed, and struck him on his head. 31 And when they had mocked him, they removed the robe, and put on him his own garments, and led him away to be crucified. 57 And when it became evening, a rich man came from Ramatayim, whose name was a Yoseph, who was also a talmid of Yeshua. 58 This man drew near to Pilatos, and requested the body of Yeshua. And Pilatos instructed that the body be given to him. 59 And Yoseph took the body, and wrapped it in a shroud of fine linen; 60 and he laid it in his new sepulchre that had been hewn from rock. And they rolling a large boulder, they placed it against the entrance of the sepulchre, and departed: 6l And Miriam of Magdala and the other Miriam were there, who sat on the other side of the sepulchre. 62 And on the next day that was after sunset*, the chief priests and Pharisees gathered together with Pilatos, 63 and said to him: “Our lord, we remember that this deceiver said, when he was alive, ‘After three days, I will arise.’ 64 Therefore, instruct that they guard the sepulchre until the third day; in case his talmidim come and steal him during the night, and say to the people that he has risen from the dead; and the last deception should become worse than the first.’” 65 Pilatos said to them: “You have guards! Go and guard it as you see fit.” 66 And they went and appointed guards by the sepulchre, and set a seal on the stone and placed the guards on watch. They will look to the one they have pierced and mourn. There are many prophecies of Messiah in the Tanakh. Yeshua said The Torah, Moshe and Prophets speak of Him and if we believe the Torah, Moshe and the Prophets then we would believe Messiah. It is important that we show people in the Tanakh that Yeshua is the Messiah prophesied about. Read Isaiah 53 and see if you can come to any other conclusion. Him now come down from this gallows, and we will believe in Him. said, I am the Son of Elohim. him from the hand of those who rise up against him. seeing He delights in him. The prophecy states the Messiah would be in the belly of the earth 3 days and 3 nights. It is also written that the scriptures cannot be broken. Therefore, Yeshua MUST have been in the belly of the earth for 3 day and 3 nights to satisfy that prophecy qualifing Himself as the Messiah just as any of the other prophecy must be fulfilled. In Matthew 15:1-23 and Mark 7:1-23 there is a record of a conflict between Yeshua and a group of Pharisees. 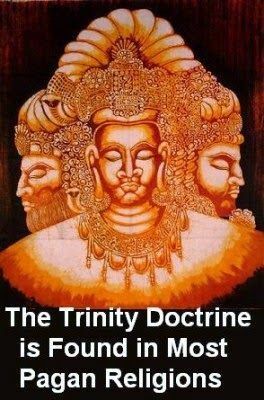 This conflict has been mischaracterized by many as a conflict between Yeshua and the Oral Law in general, rather than a typical debate of the time about the validity or invalidity of a given tradition of the Elders. On the eve of Passover, all Israel, as one household, sacrifices a lamb at the same time and in the same manner. Each household within Israel has one lamb, and every single person within Israel must partake on the same night. The unity of the lamb for each household underscores the unity of each household, which taken together form the unity of the whole household of Israel, all marked for deliverance by the blood of the Passover lamb. This theme of unity resounds throughout our celebration of the Passover seder today. The whole family gathers around the table to retell the story. reflecting on Christ’s journey to the cross on our behalf and His glorious resurrection. Sfirat HaOmer [Sef-iRAT Ha-O’mer] literally means “counting of the sheaf offering”. Also known as the early harvest of or the day of first fruits [Yom Bikkurim]. This counting begins on the 15th of Nisan and the counting continues for 49 days leading up to Sh’avuot/Pentecost (the 50th day). This year it falls on 04/7/12 @6pm and goes until 5/27/12@6pm. This is what redemption is, to bring back man to the state of Adam before he fell. This can only be done through Messiah Yahshua who is the tree of life. In the end, the man of sin is going to offer redemption through the tree of knowledge…’ye shall not surely die’, yet this is going to lead to eternal damnation. The sons of Elohim are those who are adopted and redeemed through Messiah Yahshua(Romans 8:11-39) The adversary is going to offer mankind to become one with the fallen sons of Elohim who come down from heaven offering to mix with mankind just as they did in the days of Noah (Matthew 24:37).His sabbaths, His feasts are a sign that we are His people. It is His mark. What is the counterfeit? A false feast/holiday system. Christmas click here, Easter click here etc. are all counterfeits which point to the antichrist. As seen above, the mark is all about the resurrection and who’s image one chooses. The image of Messiah Yahshua who is the tree of life or the image of the beast which is the tree of knowledge. The feasts of YHWH point to Messiah. The holidays of this world system click here point to the antichrist. A deeper study of the symbology and rituals of these holidays show that death and resurrection are the main themes and ultimately the desire of man to be ‘gods’ knowing good and evil is portrayed. It is clear from looking at multiple Bible dictionaries that Easter is a counterfeit of the Pesach (Passover). This is what Easter is. It is hopping between two opinions. 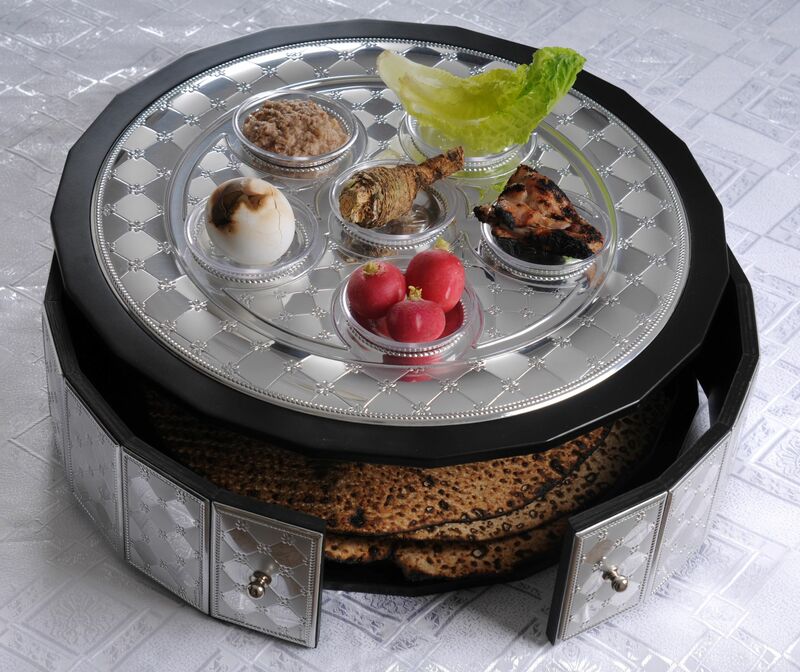 It is trying mix the Pesach with spring festival customs of the heathen. It is another golden calf. Worshipping YHWH in accordance with heathen rites. The name Easter derives from the goddess Eostre/Ishtar. Originally a Saxon word (Eostre), denoting a goddess of the Saxons, in honour of whom sacrifices were offered about the time of the Passover.